Another first effort with the TEC 140 APO and the Astro-Physics reducer. Somehow I managed to get the spacing right the first try! Guided with Maxim DL and had very little problem at the longer focal length than I'm accustomed to imaging at with the Sky 90. 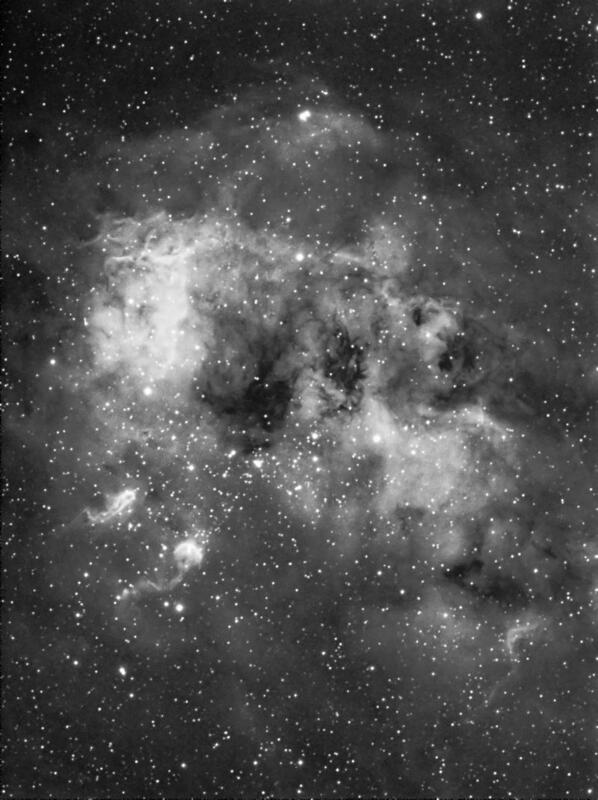 This was a tough processing job because there is alot of subtle features in the in the nebula I wanted to nurse out.